The EPA recently released a new MS4 permit that will take effect in July of 2017. As part of the Illicit Discharge Detection and Elimination (IDDE) requirements of the new permit, MS4 municipalities will now be required to 1) delineate the catchment area that contributes stormwater to each outfall, 2) identify each outfall’s receiving water, and 3) rate each contributing area as High, Medium, or Low risk for contributing pollutants to its receiving water. This rating can be used as a tool to focus outreach, infrastructure, and enforcement campaigns to property owners or neighborhoods with the ultimate goal of improving water quality. Meeting the new MS4 mapping requirements will require technical analysis of hydrology, topography, land use, and stormwater infrastructure. MAPC has developed a simple method to conduct this analysis requiring minimal local stormwater infrastructure data in a standardized format. 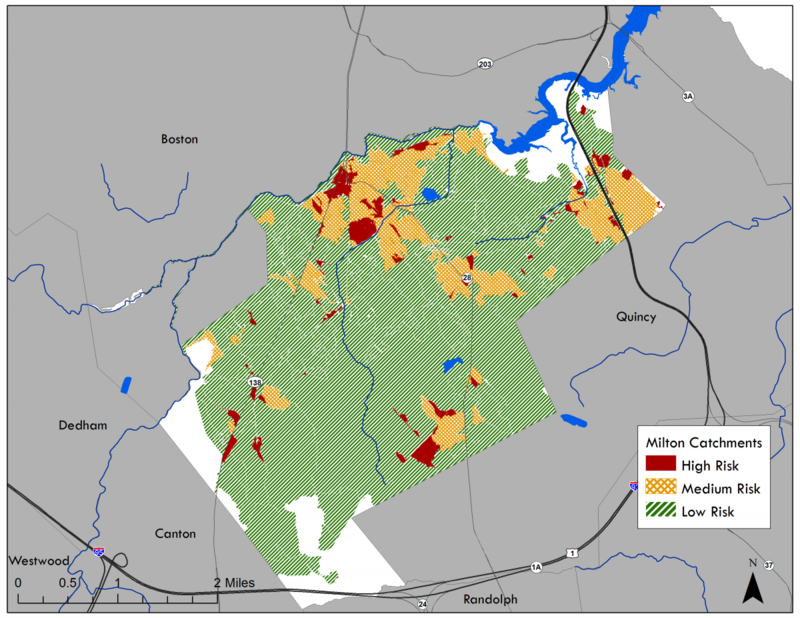 The agency has published a methodology and a set of ArcGIS tools that may be used in municipalities across the Commonwealth. 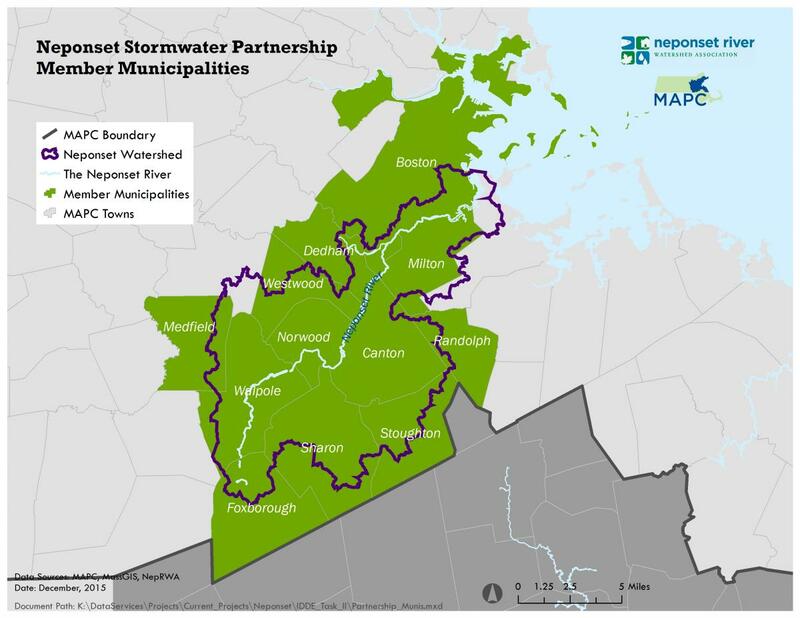 MAPC has assisted the following municipalities in delineating and ranking urban stormwater catchments using this methodology: Milton, Westwood, Stoughton, Medfield. Please go to MAPC’s github page to download the toolkit and documentation. For the methodology and ArcGIS toolbox: https://github.com/MAPC/stormwater-toolkit. This project was funded as part of a Community Innovation Challenge (CIC) grant secured by the Neponset River Watershed Association (NepRWA) and MAPC to assist the Neponset Valley Watershed municipalities in collaborating to meet the new stormwater requirements. This project provided policy templates, recommendations, and technical tools that Neponset Valley municipalities could use to meet the new requirements. The project also helped to bring together the Neponset Stormwater Partnership—a group of representatives from Neponset Valley communities involved in the permitting or in operation and management of stormwater systems that regularly meets to discuss stormwater issues.